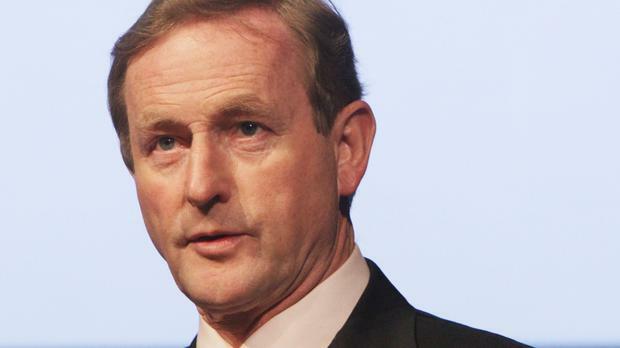 Enda Kenny has stepped down as leader of Fine Gael. Outgoing Taoiseach Enda Kenny has used his final appearance at Leaders' Questions to dish out some advice to his successor. When asked what advice he would give to the new leader he recited the Latin phrase: "Illegitimi non carborundum", which translates as "don't let the bastards get you down". In a light hearted exchange with TDs, Mr Kenny insisted he had "no regrets" and went on to advise his successor to not look "weighed down by the problems of the world". "Anyone who stands in this position (as Taoiseach) had better have an optimistic and positive outlook. "There is no point in going around looking like you are weighed down by the problems of the world. They've been there before us. You deal with them head on and make the best decisions that you can," he said. He also said he had no regrets in promoting the two Fine Gael leadership candidates, Leo Varadkar and Simon Coveney, to ministry positions. The pair were involved in an attempt to topple Mr Kenny as leader. Mr Kenny described them both as "two fine young men" and said he was happy to appoint them to frontbench positions and to "watch them grow as ministers." He added that whoever the next Taoiseach may be, they must always act in the interests of the people of Ireland. "I am very happy to walk away after 42 years, 13 elections and 15 years as leader of a major party and six as Taoiseach, to be in a position to move on responsibility to a younger generation," said Mr Kenny.